Weighing in at 3.5 pounds, the liver is the single largest internal organ in the human body. It has hundreds of different jobs, most of which are related to removing toxins from everything that we consume, and breaking down and absorbing fats to release energy by producing bile. It also helps regulate blood sugar levels. Although your patients may not realize it, their liver often has to work overtime during the holidays, given that most people tend to load up on both alcohol and food that is high in fat, sugar, and carbohydrates. This is why it is particularly important to help support your patients’ liver health at this time of year. Of course, the best way to help your patients maintain good liver health is to get them started on proper supplements before the start of the holiday season. Below are some of the best supplements that you can recommend to your patients. Curcumin is the main component of the spice turmeric, giving it a distinctive bright golden coloring. It is best known as the main ingredient in much of Indian cuisine, most notably curry. Curcumin also has a long tradition within Ayurvedic medicine for treating a number of illnesses, including liver disease. The article also suggests that curcumin may also boost liver health due to its antioxidant and anti-carcinogenic properties. The milk thistle plant (Silybum marianum) is native to southern Europe, Asia, northern Africa, Australia, and North and South America. This plant’s properties are particularly unique, given that the percentage of its active, liver-healing compound (silymarin) is exceptionally high, at anywhere from 65 percent to 80 percent. This makes it an excellent choice for helping treat conditions such as hepatitis B. The researchers found that silymarin alone worked as well as standard antiviral and liver-protecting drugs for certain markers in hepatitis B, but that treatment efficacy was improved by combining silymarin with standard drug therapies. Limiting fatty foods: The more fat your patients eat, the more work their liver must do to either absorb or remove the excess fat. Remind your patients to eat fatty foods in moderation. Drink alcohol in moderation: Similar to fatty foods, the liver also works overtime to filter out toxins from alcohol. Suggest that your patients limit themselves to one or two small glasses of alcohol per day, at most. Avoid illicit drugs: While it may seem to be common sense, it is easy to forget that damage to the liver can last for years after stopping illicit drug use. If you know that a patient has a past history of illicit drug use, such as heroin or cocaine, talk to them about the importance of protecting their liver, even if they have been off illicit drugs for decades. While it is true that your patients’ livers can be put under more stress during the holidays, getting them on a diet including supplements to support the liver will keep them healthy throughout the year. It’s never too soon to encourage your patients in that direction! Vera-Ramirez L, Pérez-Lopez P, Varela-Lopez A, et al. 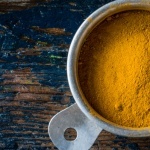 Curcumin and liver disease. Biofactors 2013;39(1):88-100. Wei F, Liu SK, Liu XY, et al. Meta-analysis: Silymarin and its combination therapy for the treatment of chronic hepatitis B. European Journal of Clinical Microbiology & Infectious Diseases. 2013, 32, 657-669.